Created for young children. Step-by-step directions. 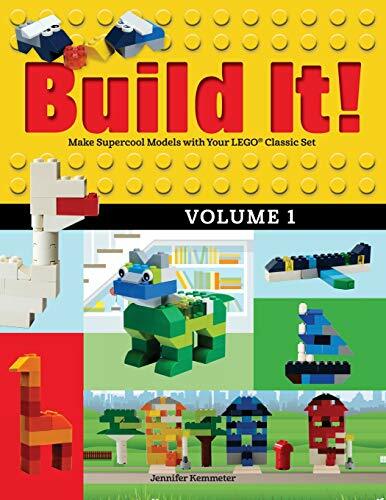 This series of visually rich instruction books for Lego® models is perfect for children ages 5 and up. Inside you'll find a range of creative models to put together--from animals to airplanes, street scenes to seascapes and much more, created using the Lego® Classic set 10693, or bricks you already have at home. Each book in this interactive series contains 3-5 “dioramas” featuring a diverse range of models. Full color diagrams guide you through the process, enhancing the fun. If you have any questions about this product by Jennifer Kemmeter, contact us by completing and submitting the form below. If you are looking for a specif part number, please include it with your message.